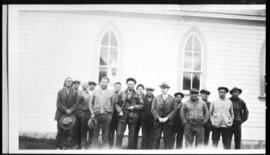 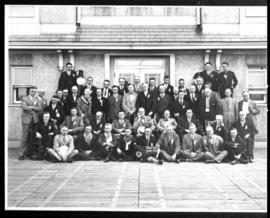 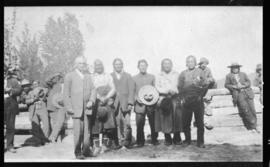 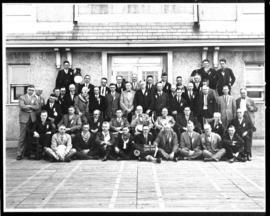 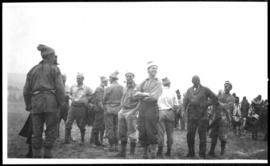 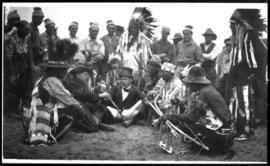 A group of men congregate around a man holding a pipe. 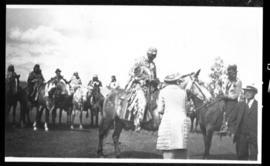 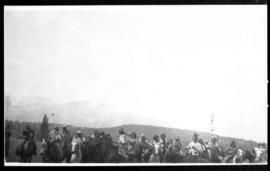 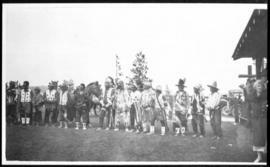 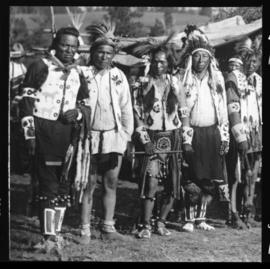 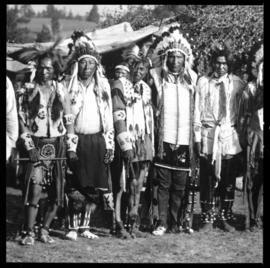 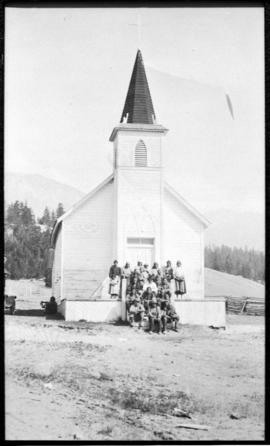 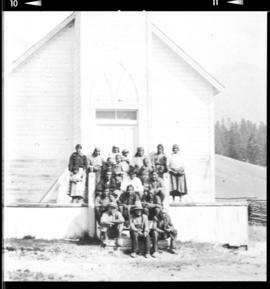 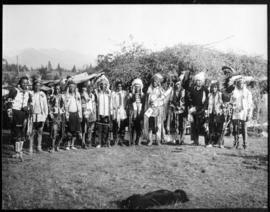 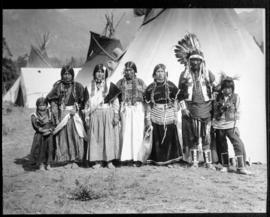 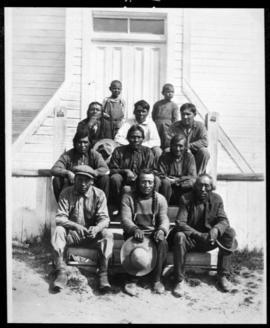 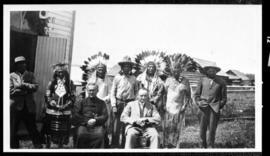 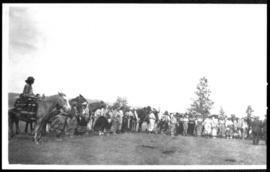 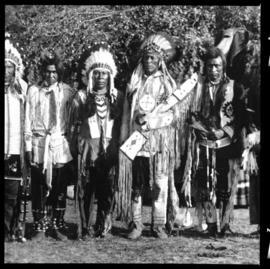 Several men wear native dress and have bows and arrows, head dresses, and decorative bags. 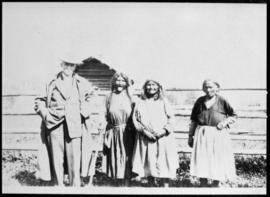 Some men wear western-style clothing.